You will be familiar with checking a weather forecast before planning a day out. But have you ever looked at a forecast to find out the greenest time to put your washing machine on? Well, now you can. Using data from the Met Office, today National Grid, in cooperation with the Environmental Defence Fund Europe (EDF) and WWF, have launched a forecast to enable the public and businesses to better understand and plan their energy use. Using hourly weather data from the Met Office and combining it with historical data from the grid, National Grid are able to forecast demand for electricity and also identify the contribution from renewable energy flowing into the grid. Using this information, they can forecast the carbon output of the grid over a 48-hour period, and identify the periods of lowest carbon output and highest carbon output. In other words, how green the grid will be during that period. Using this information, the partners involved in the project hope that electricity consumers across Great Britain will be able to plan their electricity use around periods of high availability for renewable energy, reducing carbon output. Accessibility of the new green energy forecast is important to the project partners and they have made it available as an API (application programming interface) so it can be used to develop new apps and services. Duncan Burt, Director of the System Operator at National Grid, said: “We’re providing our forecast data in a format that allows technology companies to build innovative apps and software that could make a real difference to how and when people use energy. 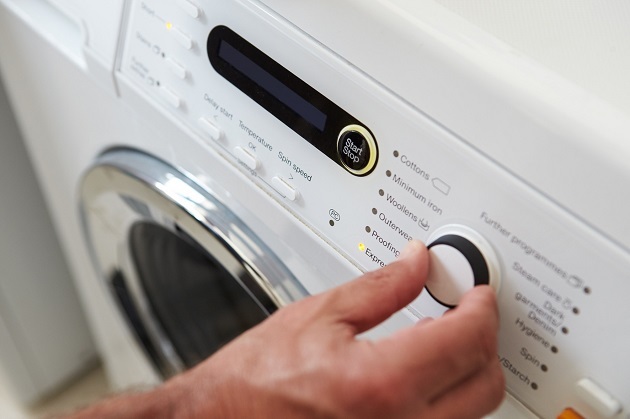 Clear and concise information that can tell you in advance when’s best to turn on the washing machine, load the dishwasher or charge your car for example, is a step in the right direction towards a low carbon future. This technology puts people at the heart of it, helping everyone to use power when it’s greenest, and likely, more cost efficient”. This entry was posted in Met Office News and tagged Carbon, climate, Energy, National Grid, Sun, wind. Bookmark the permalink. Interesting project. Is there also a URL to the public API mentioned in your post available? Thanks! “No, you can’t burn hydrocarbons to improve the quality and length of your life, you will destroy the planet. You MUST have renewable energy. Meanwhile we are going green and ‘limiting’ whilst everyday buying electricity from the French who have next to no wind power, but running nuclear at 50% capacity and available to supply deficiencies in ‘green’ grids when necessary. Until Brexit’s final hours perhaps? Looks promising but the webtool at http://carbonintensity.org.uk is not user-friendly enough yet IMO. I looked today and it seems I should put the washer on some time between 00.00 and 06.00 Monday morning. Is that right?